Entrepreneur Magazines “Franchise 500” and Restaurants and Institutions “Top 400” have recognized Port of Subs as one of the top franchising opportunities. 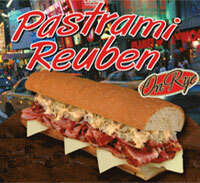 Voted Reno’s Best sub-sandwich restaurant 18 years in a row. Repeatedly voted Las Vegas’s Best sub sandwich restaurant. Voted Bellingham, Washington’s Best Sandwich in 2001. 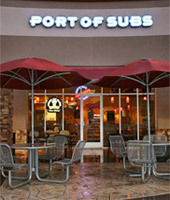 Port of Subs is a member of the International Franchise Association. Port of Subs has been in business for more than 30 years and is based in Reno, Nevada. We currently have 140+ units open with nine more stores under contruction and another 12-15 in various stages of development. We are located in six Western States which include California, Washington, Idaho, Utah, Nevada and Arizona. Our major growth plans include the continued expansion within the six Western States with major emphasis on California and Arizona. We are looking to expand by 25-30 units in 2005 and 30-40 units in 2006. Most of our stores are located outside of the major Metropolitan Areas. We are one of the few sandwich chains tha builds a number of Corporately Owned units. To learn more about the Port of Subs franchise opportunity, simply complete the form below.